Iceland is only about 40,000 square miles, roughly the size of Ohio, but a lot is packed into those 40,000 square miles. 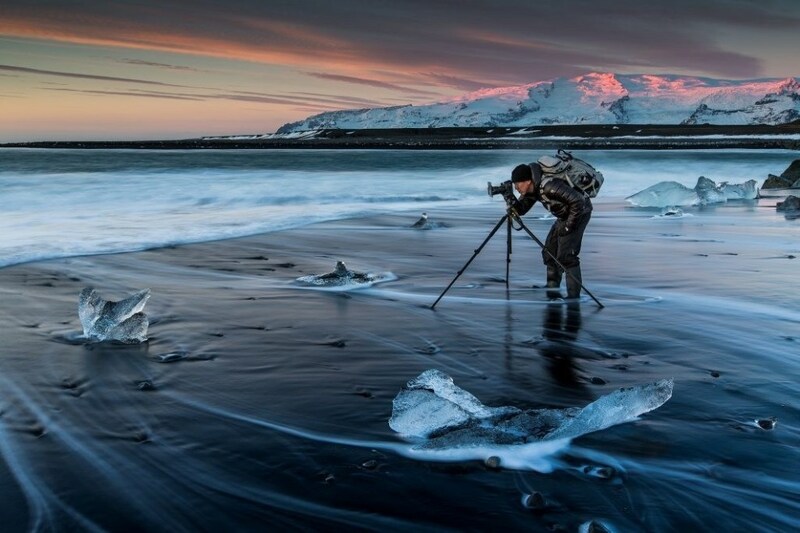 Iceland continues to be one of the greatest photography destinations in the world. Only 300,000 people live in Iceland, with 60% of those living in the capital city of Reykjavik on the west side of the island. The rest of Iceland is taken up by tundra, glaciers, waterfalls, volcanoes, geysers, and mountains. Iceland is a volcanic island and contains 200 volcanoes, 30 of which are active. The most famous being Mount Hekla that has erupted about 30 times within in the last 1,000 years (the last time being in 2000). It is responsible for a third of all lava flows in the world. It is one of the most geothermally active places in the world due to its location. Iceland rests right on mid-Atlantic rift, where the North American tectonic plate and the Eurasian tectonic plate separate. You can actually view both plates and the division at Þingvellir National Park. Volcanic activity has shaped much of Iceland, but there is so much more that makes Iceland one of the most unique places in the world. A rare combination of natural features occurs in Iceland, not to mention it has a prime Arctic location, which makes it great for the Northern Lights (and the Midnight Sun). During the longest days of the year in June, you can find yourself enjoying 4-5 hours of golden hour light. It’s incredible! I thought I would share some of my favorite reasons to visit Iceland if you have not yet. We are excited to host the first Backcountry Journeys Best of Iceland workshop this September. 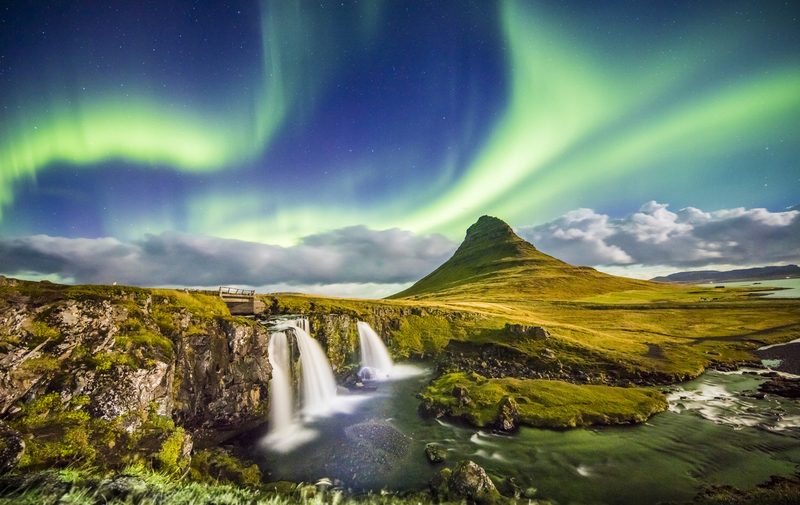 Iceland is one of the best places in the world to see the Northern Lights. It is easily accessible in the fall/winter months, it has incredible landscapes that provide ample compositions, and Iceland has some of the strongest displays of aurora borealis. You might have to work for them and compete with the weather, but if you are graced with a clear night during a Kp 4 or Kp 5+ night, I can guarantee you that it will be one of the top 5 greatest experiences in your life. I particularly like to shoot the Northern Lights over some of the waterfalls and iconic mountains on the South Coast. Vestrahorn near Hofn is one of the best places to capture the lights. Iceland is a volcanic island so you will notice many geothermal features common to volcanic areas. You might visit some areas in Iceland and be reminded of Yellowstone National Park of the Big Island of Hawaii. But, Iceland has it all, geysers, hot springs, bubbling pools, vents, and volcanoes. 80% of Iceland’s heating requirements are fulfilled by the geothermal areas on the island and about 30% of their total energy is geothermal. These areas are specifically great for photography too. Some of my favorite areas are the Mars-looking landscape surrounding Lake Mývatn, the geothermal pools around Landmannalaugar, and the hot springs of Hveravellir Nature Reserve. I find the geothermal of Iceland to be some of the best in the world and some of the most photogenic as well. The combination of ice and fire makes Iceland so unique. Not only has the island been shaped by volcanoes, but glaciers have slowly carved away at the island as well. 11% of Iceland is covered by glaciers. 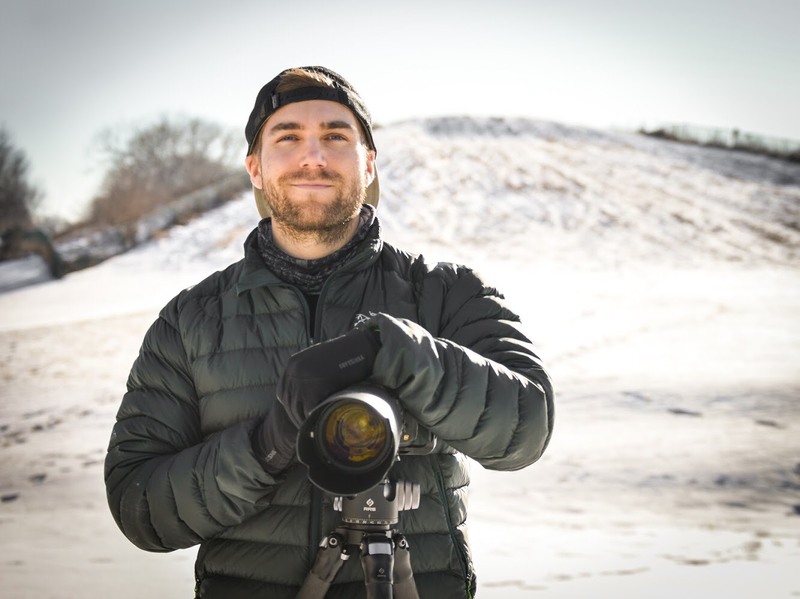 Glaciers indicate a great opportunity for photography, think ice caves, lagoons, and the glaciers themselves. You have probably seen glacier photos from Iceland, as two of the most photographed areas on the island lay directly next to each other on the south coast, Jökulsárlón Glacier Lagoon and Diamond Beach. The glacier lagoon is relatively young, it appeared within the last 100 years due to retreating glaciers. The lagoon is filled with icebergs and offers excellent vantage points of the surrounding glaciers and mountains. Some icebergs from the lagoon are eventually pushed out to Diamond Beach and the entire beach can be laced with icebergs at times. That makes for some great seascape photography, as you can place the icebergs in your foreground and capture the crashing waves of the ocean. Those are two iconic spots, but there are so many other glaciated areas around the island that offer unique shots, you’ll have to join us for those locations though! Iceland necessarily isn’t the first place that you would think of when it comes to beaches, but the island offers some exceptional shoreline. Specifically, the black sand beaches of Iceland are some of the best photography spots on the island. One, in particular, Reynisfjara near Vik, is world-renowned. 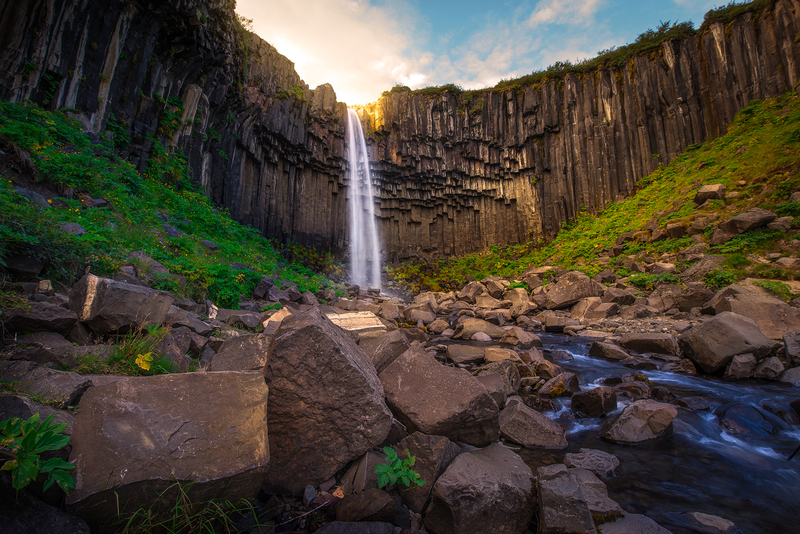 Not only does it offer a unique black sand experience, but it also has stacks of basalt columns that line the beach. You can combine the stacks with great wave action for some amazing shots, just prepare to get a little wet. Djúpalónssandur is a very nice black sand beach in the western peninsula of Iceland, but outside of Reynisfjara, my other favorite black sand beach to shoot is Hvítserkur. Hvítserkur is actually a black basalt stack that protrudes from the bay, it is an iconic Iceland spot for photographers. Ahh, the Highlands, my favorite area of Iceland hands down. The crowds are less, the scenery is better, and some of the best gems are hidden in the Highlands. The Highlands is accessed mainly by ‘F-Roads’, which require a high-clearance 4×4 vehicle. You need a serious vehicle to access the best areas (you might find yourself crossing numerous rivers), but it is 100% worth it. There are amazing landscapes, including glaciers, waterfalls, craters, huge lakes, and mountain viewpoints in the Highlands. One of my favorite sections is the area that includes the iconic Laugavegur Trail. The trail passes through Thórsmörk and Landmannalaugar and has insane vistas of Iceland’s green tundra splattered with massive lakes and mountains. The Highlands are difficult to access for sure, but Iceland has become busy and escaping to the Highlands is one of the best options. One of the first things I noticed on my first trip to Iceland was the sheer amount of waterfalls scattered across the country. It almost seems as if there is water pouring out of every crack and crevasse. You will see thousands of waterfalls, may unnamed, driving the Ring Road alone. 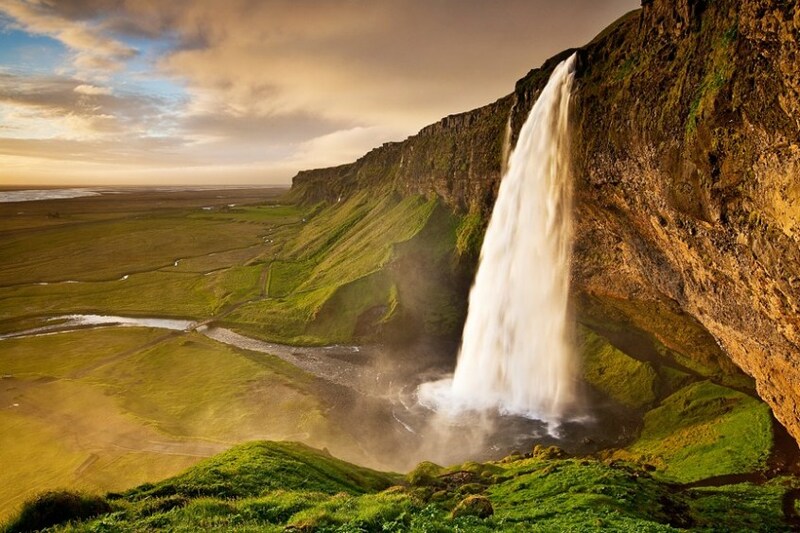 Iceland is home to 10,000 waterfalls and has some of the most photogenic waterfalls. The southeast coast is home to many iconic waterfalls, but the entire island is loaded with them. My favorites are Hraunfossar (especially in fall), Svartifoss, Aldeyjarfoss, Haifoss, and Dettifoss. Dettifoss is one of the most impressive waterfalls, it is the most powerful waterfall in Europe and if you ever visit, you will see why right away. I write ‘iconic’, but many of Iceland’s mountains are also unique. The unique geothermal origins of the Island along with the glaciers and Iceland’s respective climate have brought about some serious unique mountain landscapes. Iceland is a wet place, no doubt. The precipitation leaves the country looking very green and lush. So, you will see very prominent, jagged mountains with this beautiful green color to them. A good example is Kirkjufell, maybe the most recognizable mountains in the world. Another one of my favorite things about Iceland is how many mountain ranges seem to just slam right into the ocean. Vestrahorn is an example of this. There are also great mountains situated in the many fjords of Iceland. My favorite fjords are the East and West Fjords. The fjords are great for photography because the ocean creates a constantly changing environment with many unique foregrounds for the beautiful mountains. Iceland is rich with bird life, but there is actually only a single mammal on the island that is native, the arctic fox. Researchers believe fox populations crossed ice bridges during the last Ice Age. Today, you will find mice, rabbits, and reindeer on the island as well, but it’s always special to see an arctic fox. It is a fantastic place to see birds, especially beautiful puffin. And although not wild, the domestic Iceland horses and Iceland sheep are cool enough to garner your attention too. The horses are actually extremely photogenic, and as for the sheep, well you will see them roaming around everywhere on the island.